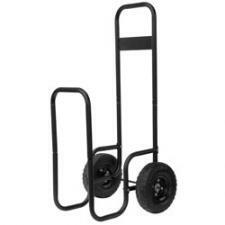 *Wood cart with large heavy duty wheels. *Measures 42" High x 19" Wide x 24" Deep and weighs 18 lbs. *Heavy duty extra large wheels make transporting wood easier.